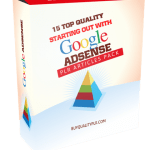 In this PLR Content Pack You’ll get 125 Unrestricted Google Adwords PLR Articles Pack with Private Label Rights to help you dominate the Google Adwords market which is a highly profitable and in-demand niche. 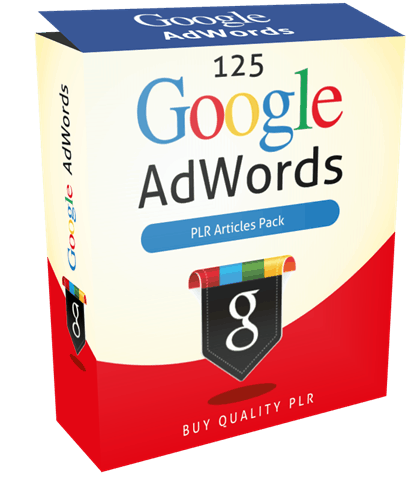 These Google Adwords PLR articles are available in Text file format and can be downloaded instantly after purchase. 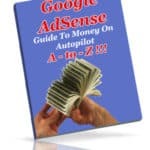 What Can You Do This Google Adwords PLR? Be An Adwords Superstar – Learn How You Can Start Earning Mammoth Income With These Tips. Breakthrough! New Ways To Get Google Adwords Pay-Per-Click Ads Free! 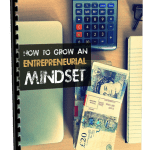 Discover how you can, with 3 simplest of tips, boost your Adwords click through rates and ultimately income! Don’t Let The Wrong Google Adword Keywords Take You Broke During The Holidays! Google Adwords Success Vol 2. You’ve probably encountered the word AdWords at least once or twice. You know it has something to do with Google. But if you were asked what AdWords is really about, would you be able to answer the question? If your answer is no, reading on will help you do just that. If you’ve conducted at least one search via Google’s website, then you have already seen these Adwords. These are the text advertisements that appear on the results page of your Google search. For example, you’re looking up information on macro photography. You would very likely then type in the words “macro” and “photography” into the Google search box. Those words are called keywords and Google uses them as the basis to look for information on the Web. Google publishes its findings back to you on what’s called a results page. The results page is a list of webpages Google suggests you visit to know more about your topic of inquiry (in this case macro photography). On the results page there are text ads. One is about an online store that sells cameras, while another is from a company that offers photography printing services. Now you may think that it’s pretty cool (and coincidental) that the ads that appear on the results page have something to do with your topic of interest. But what you should know is that this coincidence is in fact, planned on purpose by Google – and this is how AdWords works. By typing keywords into the search box, you have identified what kind of advertisers will appear on your results page. To get a clearer understanding of how this works, try to picture yourself as an owner of a business (in this case, a camera sales and repair shop) with a website. As a business owner, you need to let people know about your business and that means you need to advertise. 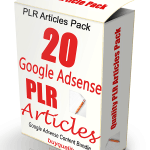 How to Purchase This Google Adwords PLR Pack? 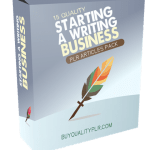 We will only be selling 50 copies on this Google Adwords PLR content pack, so don’t waste any time and grab your PLR license while it’s still available for sale.